Oleksandr Hryhorovych Osaulenko – is a DSc. in Public Administration, Professor, Corresponding Member of NAS of Ukraine in “Statistics” Honored Economist of Ukraine. Oleksandr Hryhorovych was born on the 2nd of January 1951 in Cherkasy region. He got higher education in Kyiv Institute of National Economy of D.S. Korotchenko (now – Kyiv National Economic University of Vadym Hetman) by the specialty “Organization of mechanized processing of economic information”, which graduated in 1974. After postgraduate studying his life is connected with work in state statistics agencies, where he has worked his way up from the Head of the Computing center of Kyiv Statistical Office Department to Minister of Statistics of Ukraine and than to the Head of the State Statistics Committee and Head of the State Statistics Service of Ukraine. Osaulenko Oleksandr Hryhorovych is recognized in Ukraine and abroad as an expert in the field of statistics and public administration. He developed the theoretical basis for the creation of an effective management system for development and operation of state statistics in modern conditions, methodical recommendations for improving strategic and current planning, management of statistical activities, are offered appropriate forms and methods of organization of this process, what became the basis for reforming the national state statistics according to international standards. Oleksandr Hryhorovych is the author of about 200 scientific papers, including more than 20 monographs and textbooks. His research results became the theoretical and methodological basis for the preparation of long-term programs for development of national statistics and improving of statistical support management at national and regional levels and received practical implementation in a number of legislative and other normative legal acts. He has supervised 6 doctoral and lots of PHD’s thesises. Under the direction of Oleksandr Osaulenko, the National Academy of Statistics, Accounting and Audit, Scientific and Technical Complex for Statistical Research were created. He is a member of the editorial boards of publications “Economy of Ukraine”, “Statistics of Ukraine”, “Applied statistics: problems of theory and practice”, “University research notes”, is a member of the Specialized Scientific Council of the National Academy of Statistics, Accounting and Audit, academic councils of the Institute of Economics and Forecasting of NAS of Ukraine, Institute of Demography and Social Studies of Ukraine, Scientific and Technical Complex of statistical studies of SSСU. Oleksandr Osaulenko’s achievements are recognized by the international community. 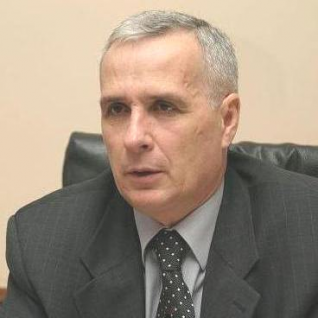 He was the official representative of Ukraine in the ОUN Statistical Commission, the ОUN Commission on Population and Development, presided at the Council of heads of statistical offices of CIS countries, three times was elected as a member of the Bureau of the Conference of European Statisticians. Is married, has two daughters and a son. ХVІІ Scientific Conference "Development of the system of accounting, analysis and audit in Ukraine: theory, methodology, organization"
Conference of Scientific Youth 2.0 "Economic Future of Ukraine"